Today the US Senate held it’s first hearing on Gun-related Violence in over a year, as the recent shooting events of Sandy Hook Elementary, and Aurora Colorado shooting have become hot topics in our society. Former democratic Congresswoman for Arizona, Gabrielle Giffords, who was shot and seriously wounded 2 years ago during a public meeting, was invited to speak at the hearing, and did so haltingly. This is a lingering result of partial brain damage which happened after the shooting. She was escorted to the podium by her ex-navy captain husband Mark Kelly and although her speech was brief, it was damning and to the point. While some are commenting that her appearance was to purposely draw on the public’s emotions, it was very important in our opinion. She is right, and there is no more perfect person to speak, first hand, about how damaging guns can be when they aren’t controlled. There were a few speakers at the hearing, some of whom said the problem was not just gun control, but better healthcare and monitoring for people with mental illnesses. The key is more stringent background checks at any gun purchasing point which will prevent a lot of the deranged mass shootings by mentally ill people. When will the NRA realize that not all gun owners are peaceful law abiding citizens? There has to be some sort of action taken and both sides need to work together toward a better and safer America, don’t you all agree? 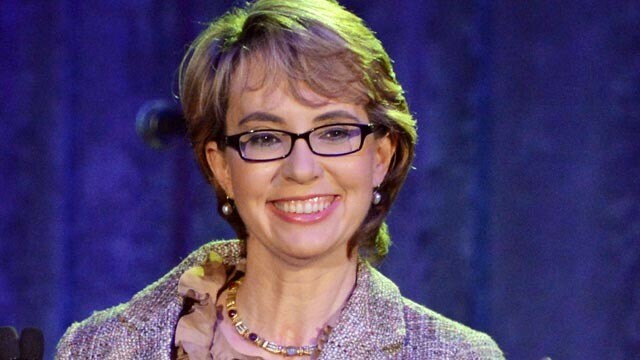 What do you think about Gabrielle Giffords’ remarkable recovery and bravery in speaking out about gun violence? Do you agree with her words? Should there be more gun control laws and better background checks to make up for the gap in the healthcare system?